Instead of transporting you to another world — a place you can easily remind yourself is fake — AR horror games instead invade your real world. 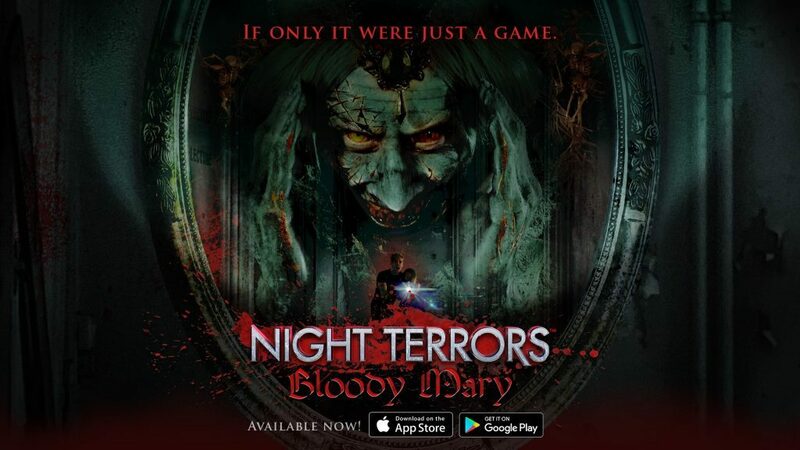 With Night Terrors: Bloody Mary from Imprezario Entertainment, that’s accomplished by peering through your smartphone as if it’s a window into an alternate version of your world that reveals ghosts, possessed beings, and more, but that’s just the beginning of what’s possible for AR gaming. Night Terrors: Bloody Mary is a follow-up to 2016’s Night Terrors: The Beginning. It’s out now for iOS and Android for cost $2.99. T The original app was only about 10 minutes long and the technology wasn’t as advanced as it is today. Bloody Mary clocks in at almost a full hour of purely terrifying AR immersion. I spoke with Imprezario Entertainment cofounders Brett Tomberlin and Bryce Katz about the upcoming release. Tomberlin explained that they wanted to go beyond simple game characters on a screen superimposed onto a picture of your room because that just isn’t scary. This is the first of many planned AR horror adventures, with another due out in just a few months. The idea, according to Tomberlin and Katz, is to establish Night Terrors as a sort of platform for AR horror storytelling and Bloody Mary is off to a good start.